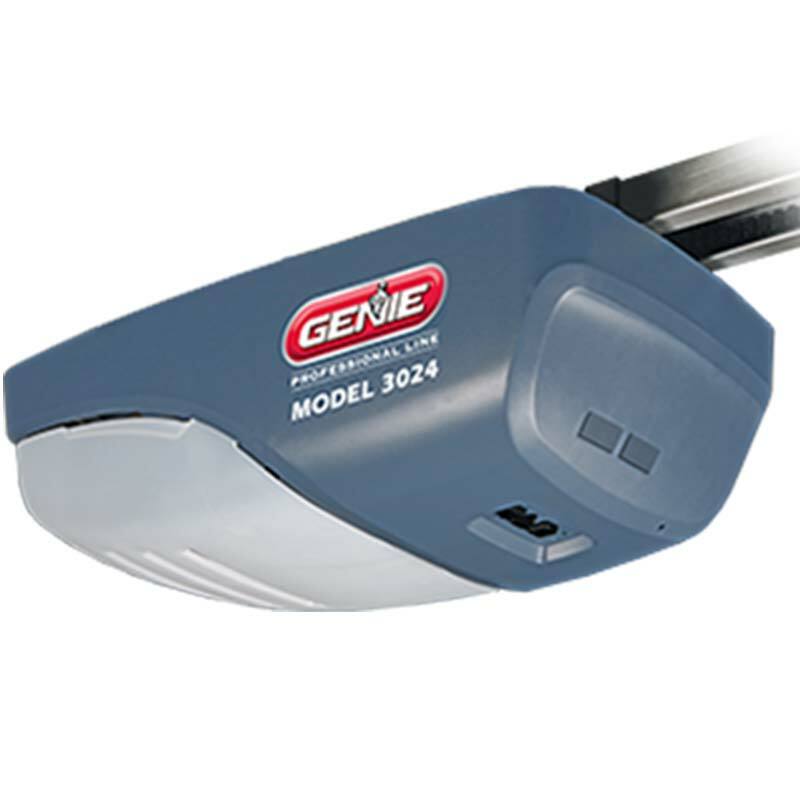 Genie Pro series 3024 is available as belt and Chain drive opener. 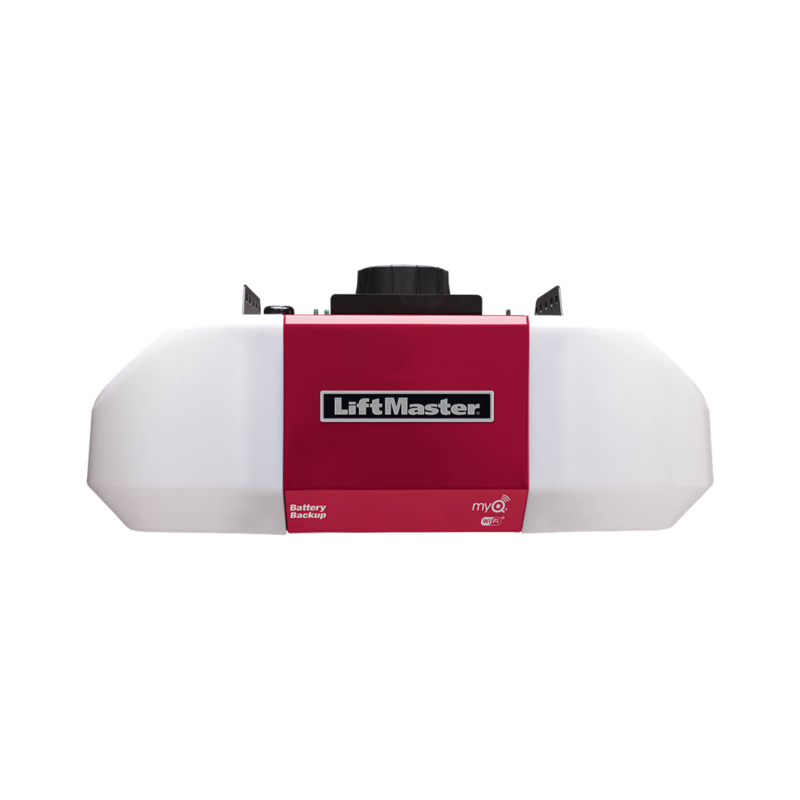 This model is an intelligent design that provides swift and quiet garage door operations. 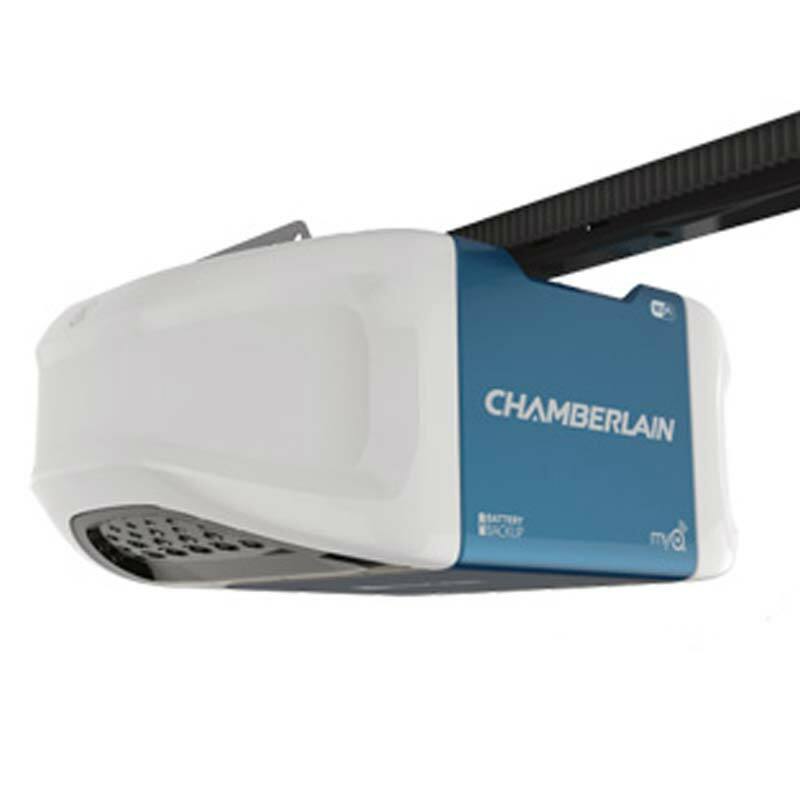 It is ideal for heavy door lifting as it has a ¾ horse power with opening speed of 7.5 inches per second. 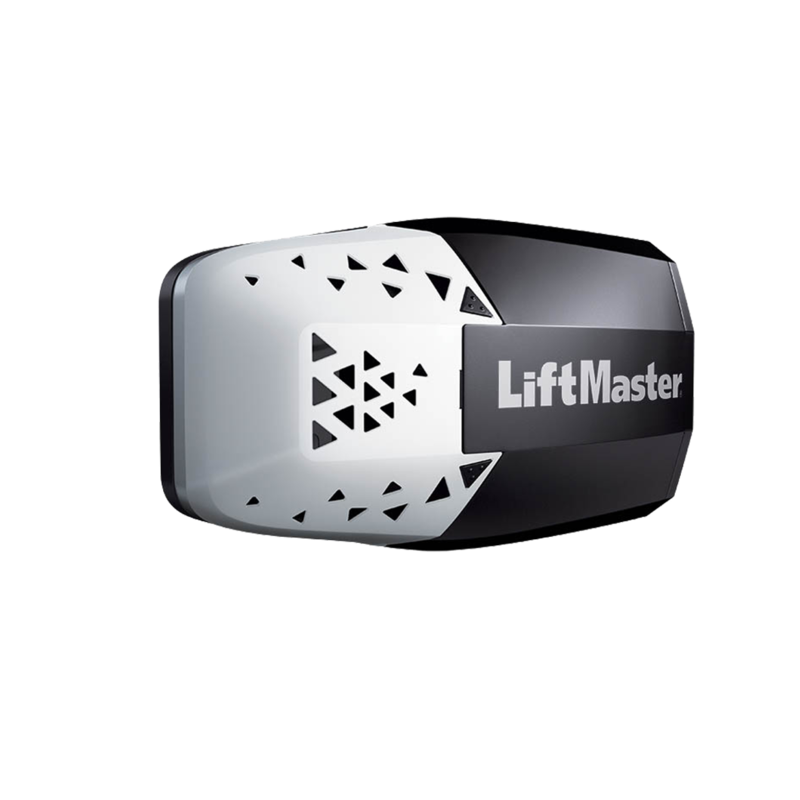 The opener is fitted with an auto seek dual frequency system that ensures prompt response to the specific signal, even in the presence of nearby frequencies. Both belt and Chain drive 3024 model guarantees soft noise free start and stop facilitated by the direct current motor present in it. This Chain Drive elite series opener is Wi-Fi Supported. 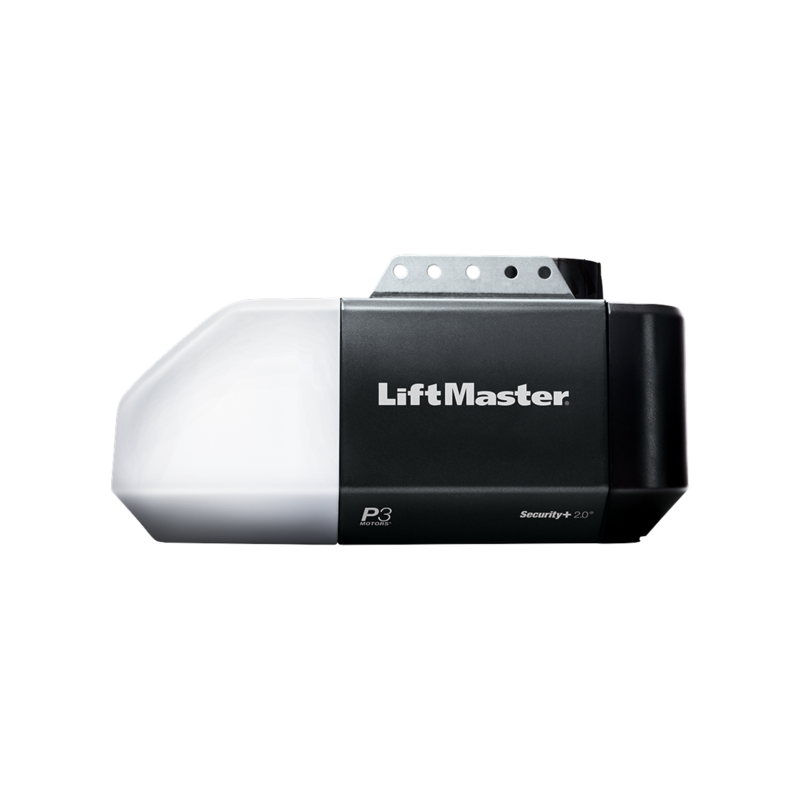 The opener is designed with a ¾ HP ultra-power management system. The ¾ horse power makes an ideal opener for heavy wooden, metal and fully insulated garage doors. This model is affordable but noisy due to AC chain drive motor in it. 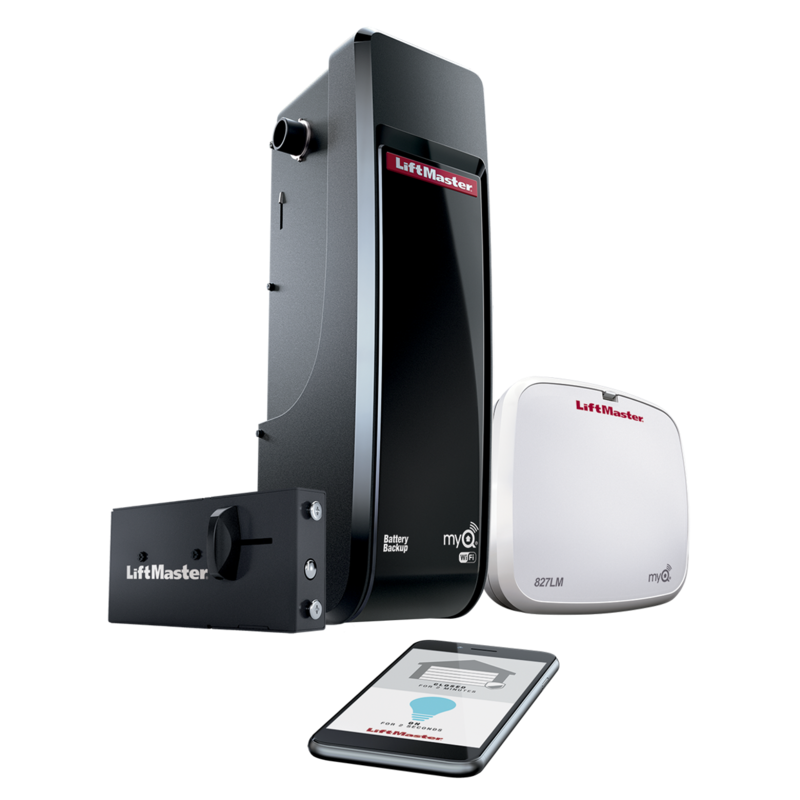 LiftMaster premium series 8365-265 is a wireless keyless entry opener that operates through a chain drive system. It has ½ horse power suitable to efficiently lift different standard garage doors. It has an automatic thermal protection with a permanent lubrication that makes this opener reliable. This premium opener provides all round performance with high reliability though its AC chain drive motor makes noise during opening and closing door process. 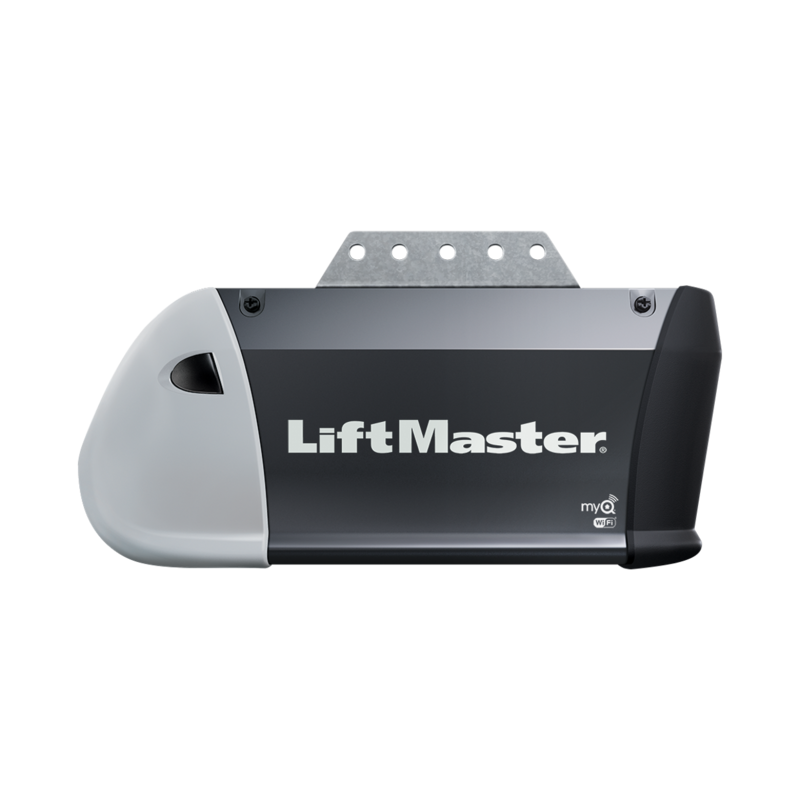 The LiftMaster Premium Series 3240 is a Screw-drive opener. 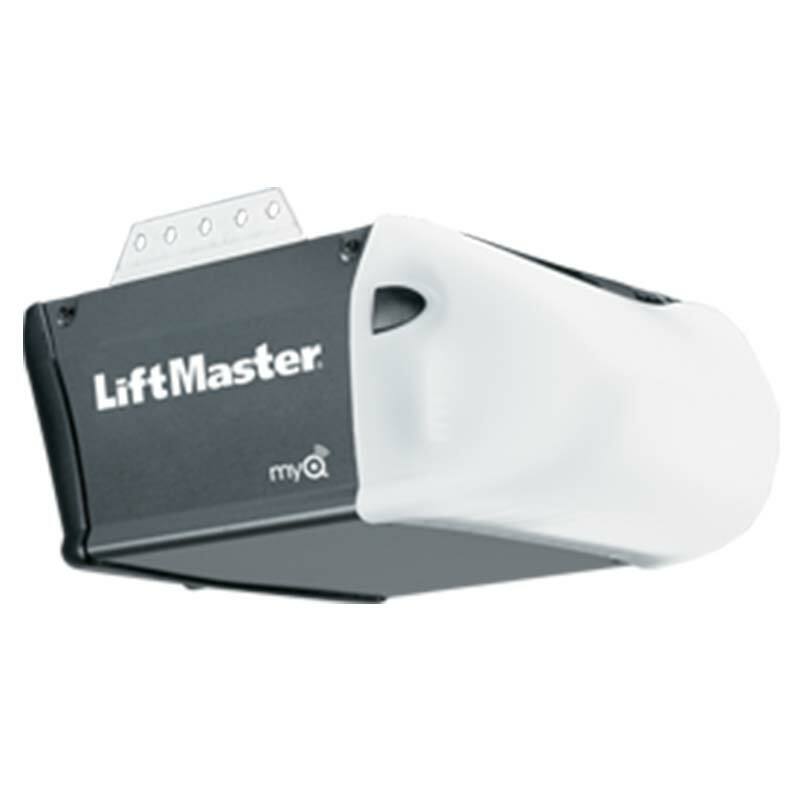 The opener is fitted with ½ HP AC motor adequate to lift standard garage doors. The opener’s screw is packaged in a highly wear resistant lubricated channel that reduces the wearing-off process. The motor vibration system present makes the opener noise free. Though the opener requires frequent maintenance, it is designed to operate smoothly and efficiently in extreme weather conditions. Model WD962 is a robust belt drive opener designed by Chamberlain. 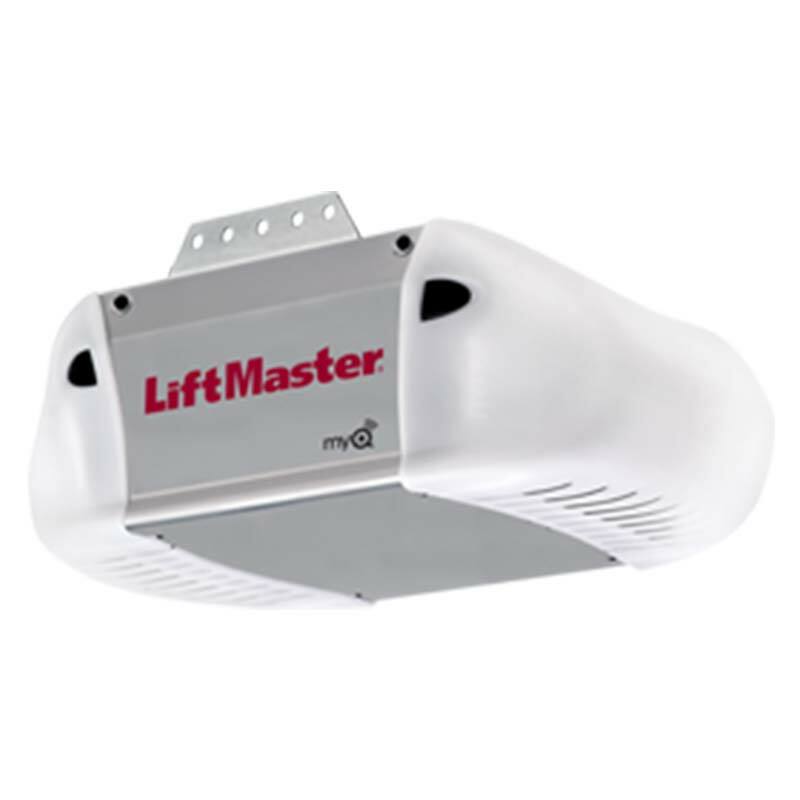 The opener has ¾ HPS motor combined with an industrial strength steel belt drive that makes it ideal for lifting heavy garage doors. This belt drive opener is MyQ App enabled that is connected to the user’s SmartPhone for timely door activities monitoring. The opener costs slightly more compared to other models, though worth spending on since its performance is not interrupted by power blackouts as it is equipped with a backup battery. 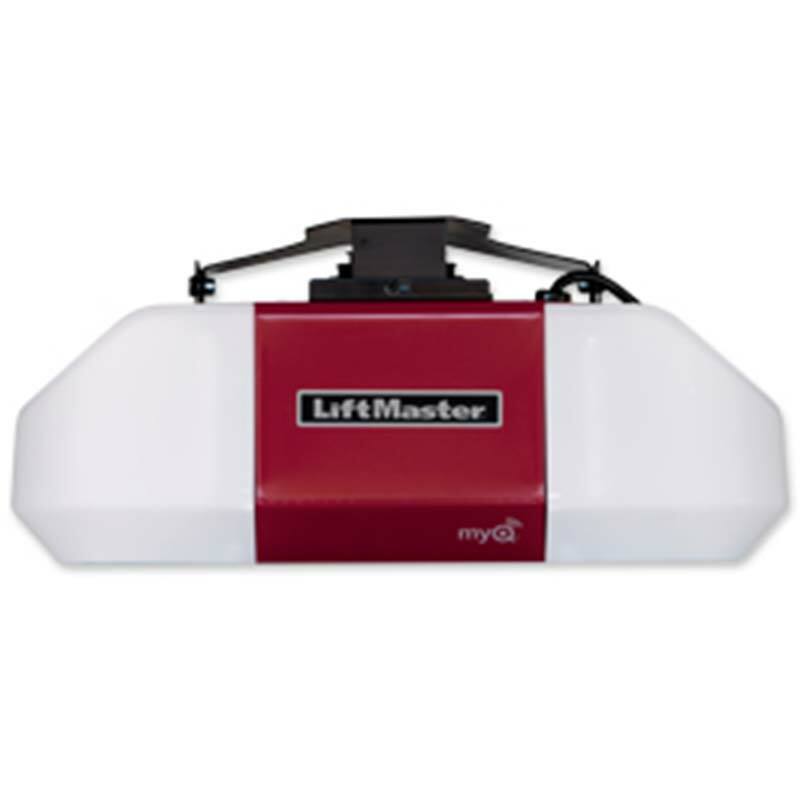 LiftMaster 8155 is a durable belt drive opener with history of providing incredible performance. The opener has a My Q App connected to the Smartphone that provides prompt pop-up notifications of recent garage door operations. The security +2.0 system installed in the opener provides a new code after every click for enhanced security. For security against force opening of the door, the opener is equipped with an electric Posilock. This opener is durable, energy efficient and powerful with reliable performance that overshadows its seemingly high cost. This is a Wi-Fi enabled belt drive opener providing ultra-quiet door operations. 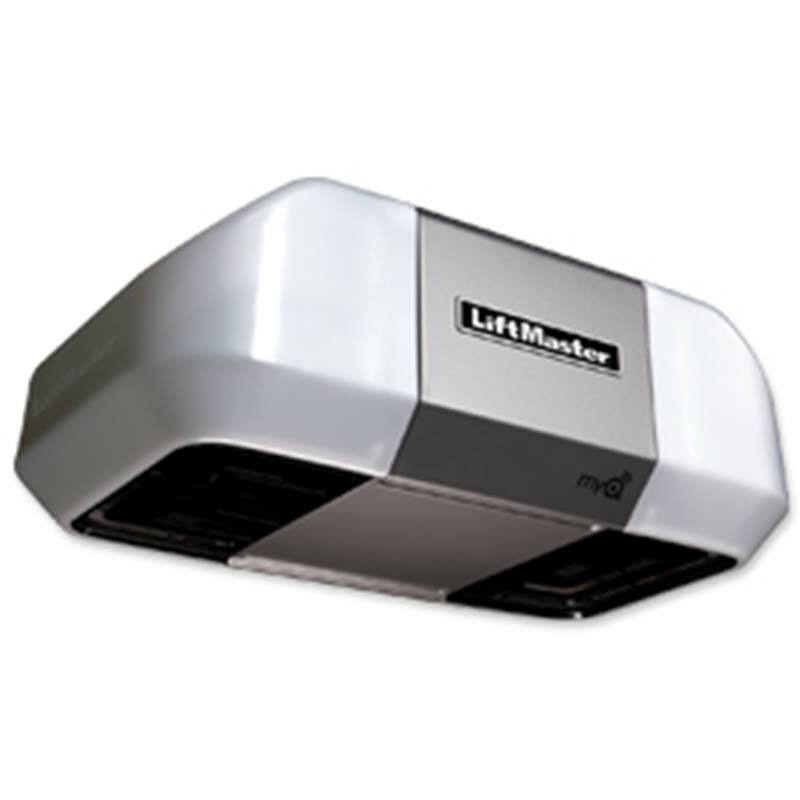 It has 1¼ HPS adequate to lift most of residential standard garage doors. Free downloadable MyQ App operated via SmartPhone allows for door monitoring. The opener has a battery backup to allow smooth and superior performance even in the absence of power. Though the opener does not have a surge protector, it is home link compatible and completely noise free. IntelliG is a Genie intelligent design opener that provides superior garage door operations. This model is available in two major versions that are the belt and Chain drive. Both versions come with a power plus motor that supplies adequate power for operation and power backup in case of a power blackout. 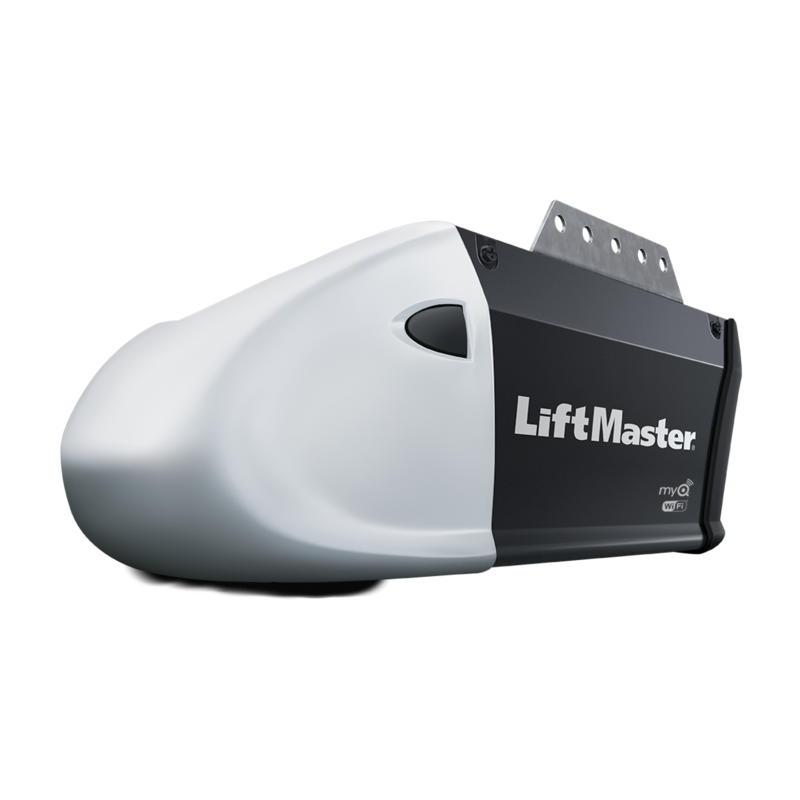 This opener model is designed with a monitoring and diagnostic technology that blocks the door operation after sensing major door system changes. The belt or Chain drive version is fitted with GenieSense technology that reduces noise and wear and tear processes of opener parts. 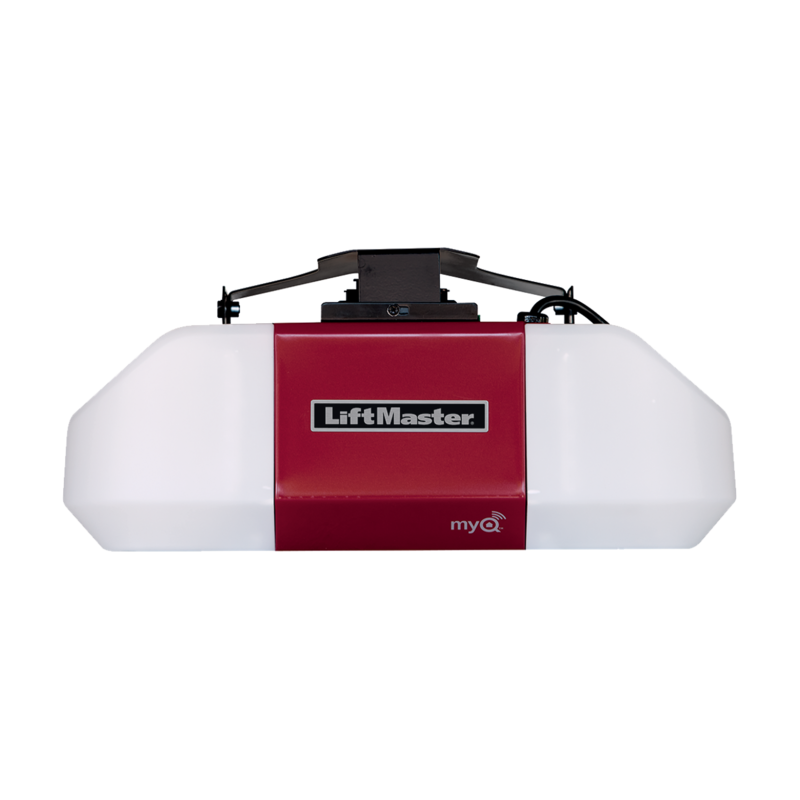 LiftMaster 8165 is a Chain drive opener with ½ HP effective in lifting standard garage doors. Fitted with a chain drive with industrial strength capacity, the opener provides reliable door operations for an extended period of time. The opener is designed to allow subscription free MyQ App download for constant door operations monitoring. Security +2.0 system provides the required security. Though noisy, this opener is durable and powerful with all the necessary systems for reliable and secure door performance. TriloG Pro series 4064 is a Genie direct drive Screw opener, an upgraded version from TrioG 1500 model. 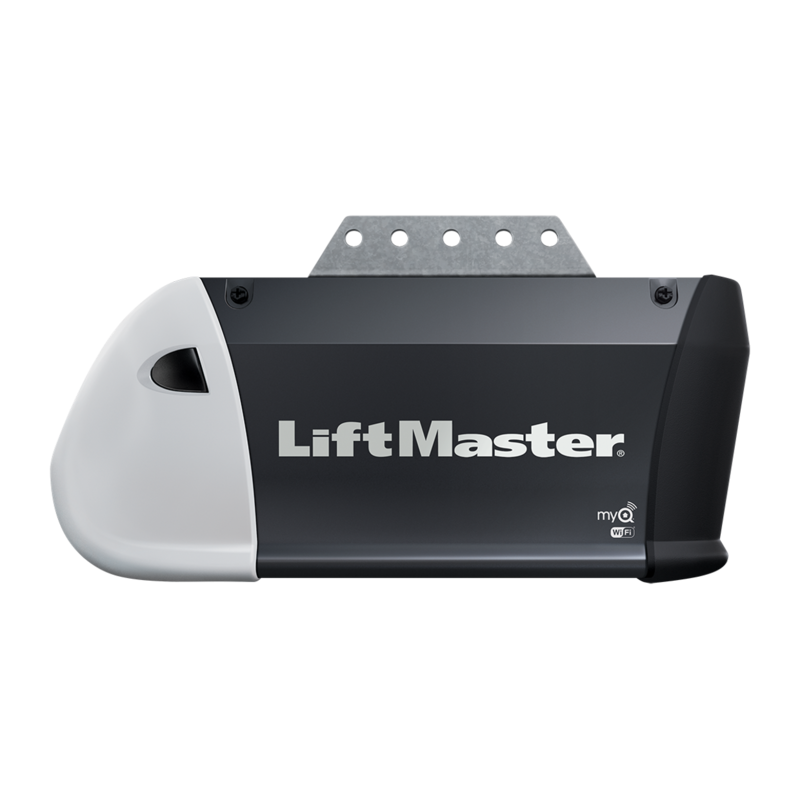 The opener has a 1¼ HP with a 140 volt direct current motor that facilitates powerful and reliable performance on residential garage doors. It is designed with GenieSense monitoring and diagnostic technology that provides perpetual door operations monitoring. Unlike other models of Screw-drive openers, the TriloG Pro Series 4064 does not require frequent parts replacement as the GenieSense technology slows down the wear and tear process. Linear model LDCO800 is a belt drive opener that offers superior performance. The opener has a direct current motor joined to a strong belt drive whose combination guarantees soft start and stops. It has a ½ horse power, adequate to lift standard residential doors effectively. 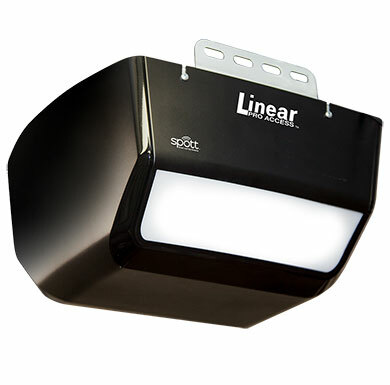 This linear model is eco-friendly being noise free and energy efficient. 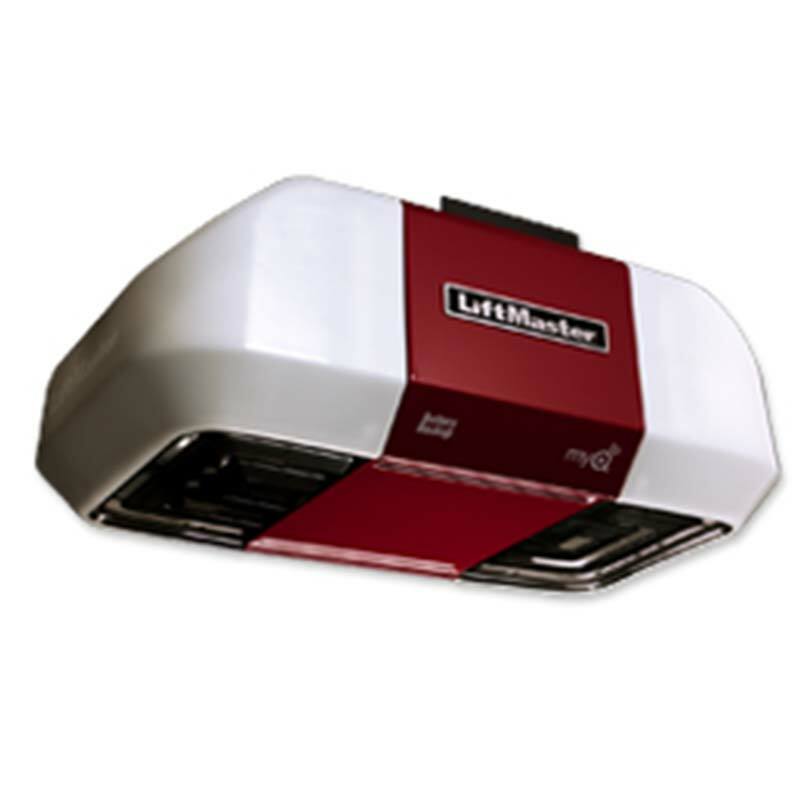 This is a premium LiftMaster belt opener model with ½ HP. The auto force makes the opener versatile in changing weather and other environmental conditions. The opener is energy efficient as it reduces power consumption up to 75% in standby mode hence ideal for power outages. Security +2.0 achieves maximum security as the technology effects a new code with every single click. Despite its slightly high cost, this opener is quite while providing smooth operation facilitated by the motor vibration isolation belt drive system. 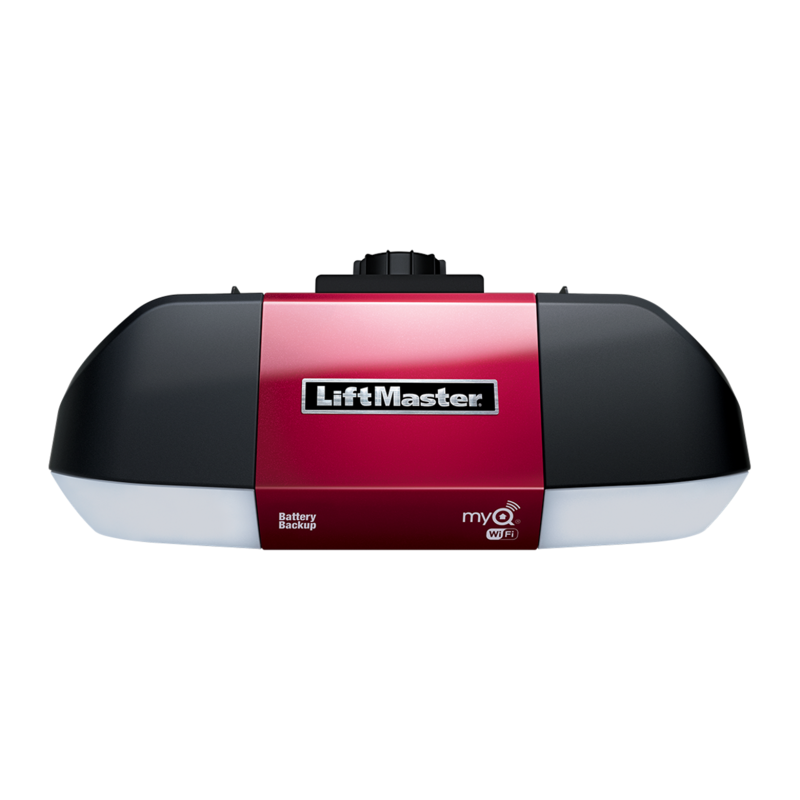 Elite series 8550 is a belt drive LiftMaster garage door opener. The opener is Wi-Fi supported connected to user’s smartphone. This elite belt drive opener is fitted with a MyQ App that makes it easy to monitor door’s operations even when away. No worries about power blackouts, as the opener come with a battery backup. Though slightly expensive, this opener is different from other drive openers as it operates through a noise free DC (Direct current) belt drive motor system. 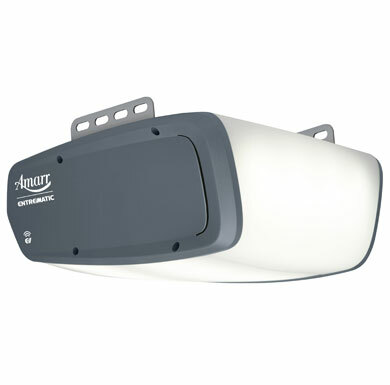 Amarr 840 garage door opener is described as a Smart series since it’s designed using modern technology. It provides high performance and smooth door control. 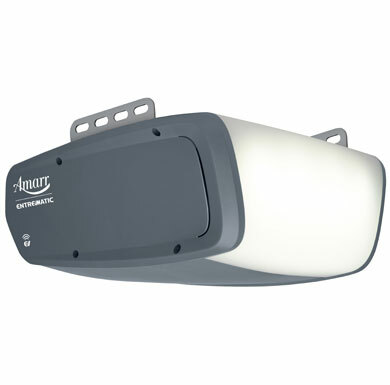 Amarr 860 garage door opener facilitates high garage door performance and supper smooth operations. 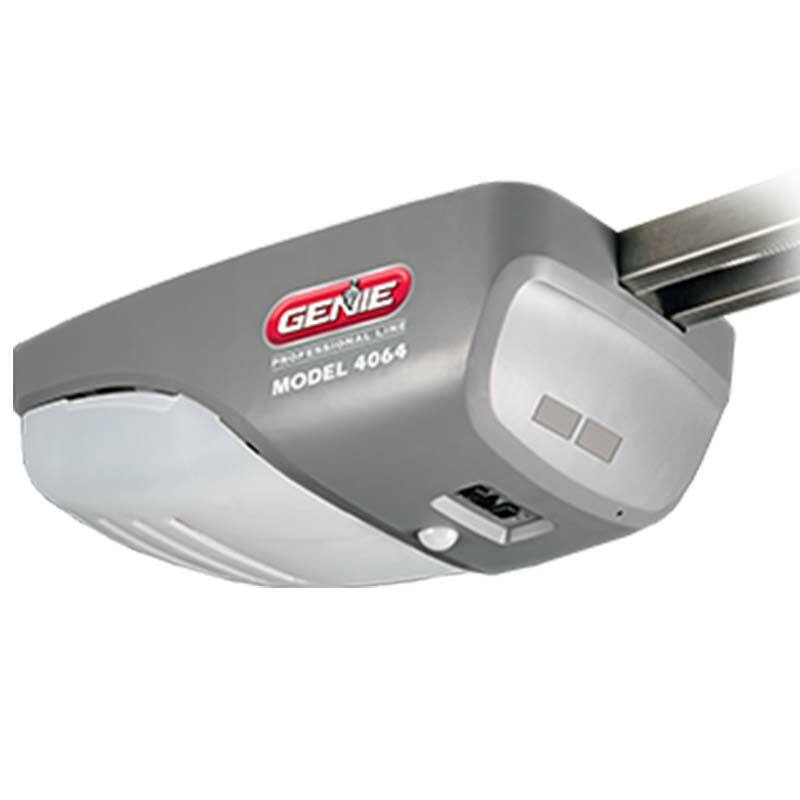 Belt drive garage door opener has a ½ HP that makes it ideal for standard doors. It’s designed with features that make it long lasting and reliable in performance. This opener is operated using a belt drive system. It’s reliable, secure and easy to connect with electronic devices. 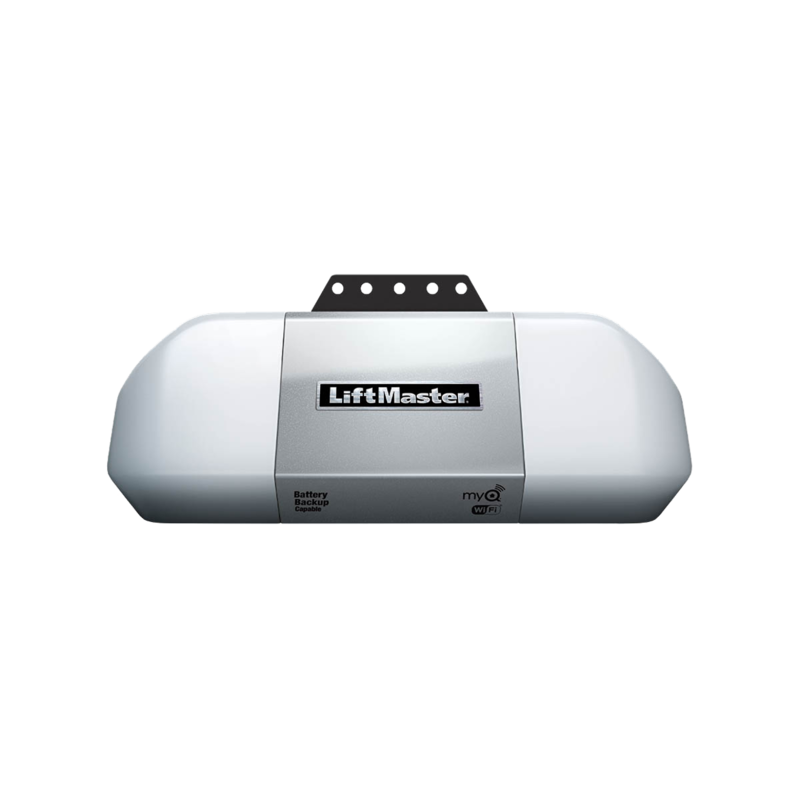 A Belt Drive garage door opener designed to provide ultra smooth and silent operations. 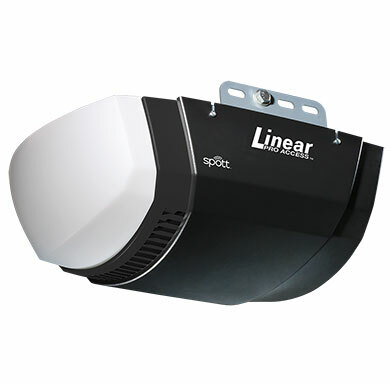 This is an LED Belt Drive garage door opener with a DC battery back-up. DC Chain or cable drive opener is designed to provide smooth and quieter operations. It comes in a simple and compact design. 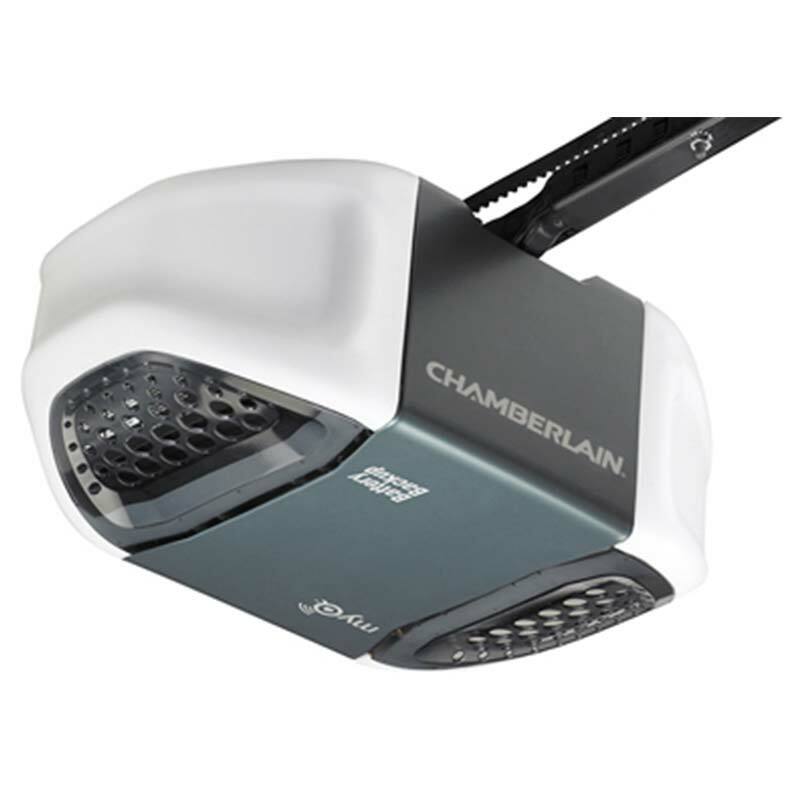 DC Chain Drive garage door opener series 8160W provides quieter and smooth operations. 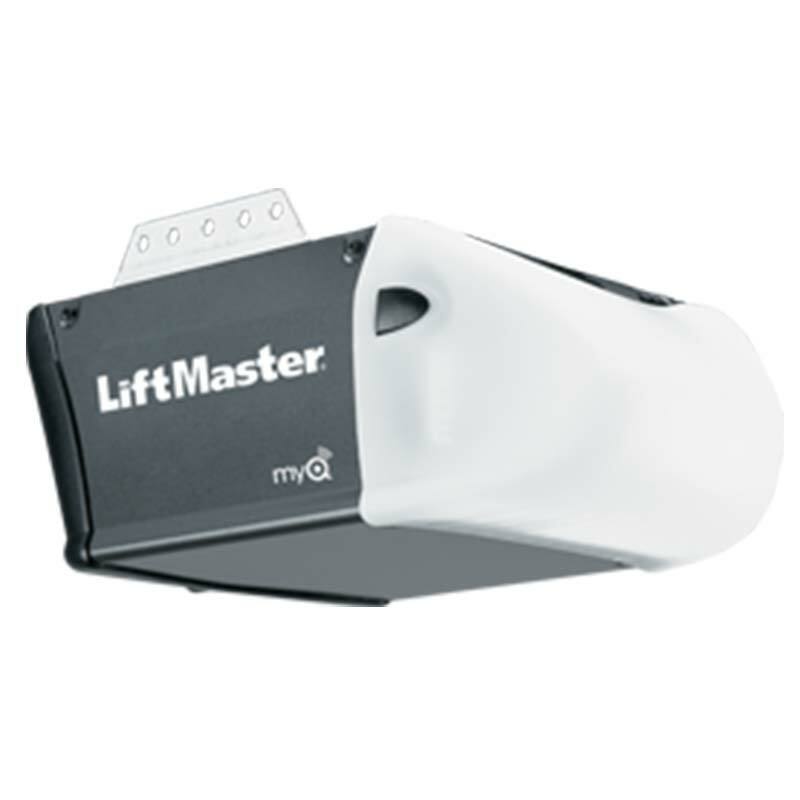 Garage door Chain drive opener series 8164W is designed to operate standard and industrial doors. This is a heavy duty Chain Drive opener as it’s designed with Industrial strength power. Generally, it’s long lasting, reliable and facilitates high door performance. 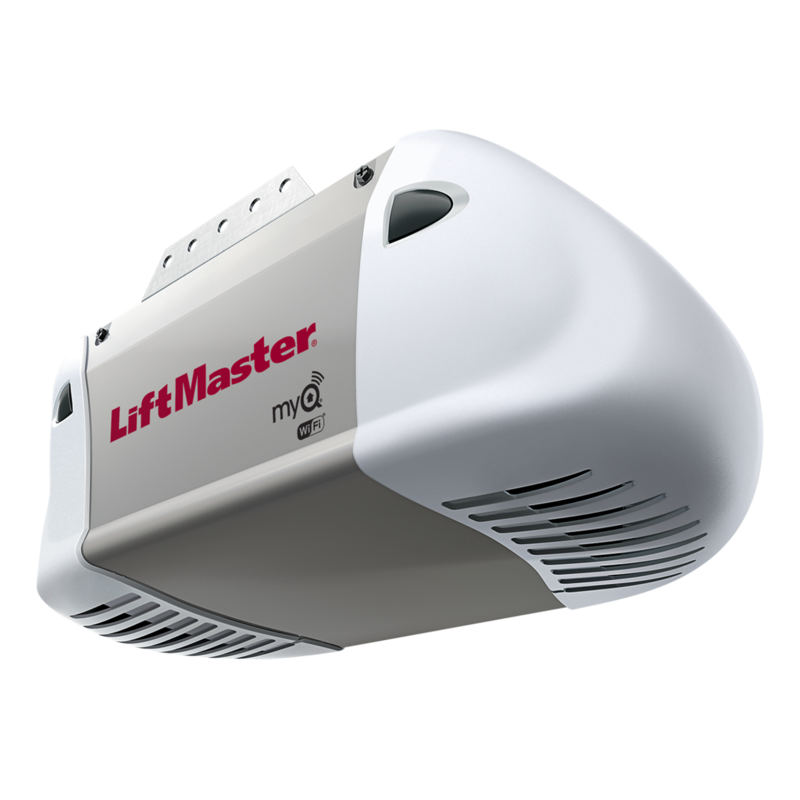 DC Chain Drive Garage Opener with built-in Wi-Fi and a battery backup has the ability to lift the weight of industrial doors. Generally, the opener provides smooth and reliable operations. Chain drive opener series 8365W-267 is designed strong operating systems to lift industrial garage doors. 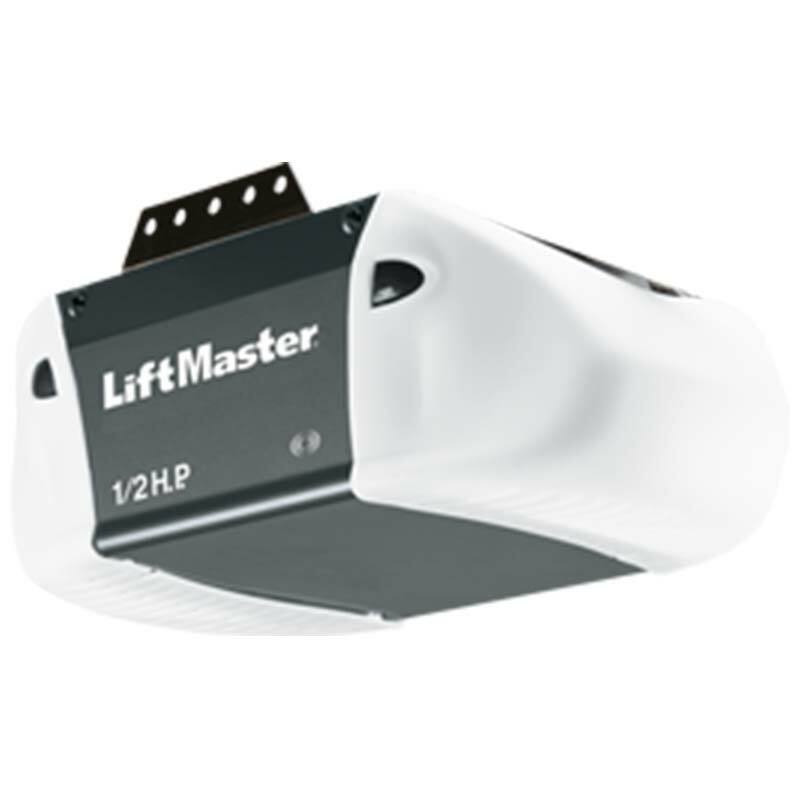 Chain drive garage door opener series 8587W has a ¾ HP adequate to lift heavy industrial doors. This opener is ideal for garages installed in hurricane prone areas. 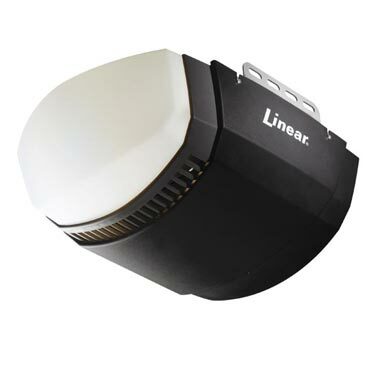 Linear garage door opener model LC075 is a powerful opener, designed to provide high quality performance. 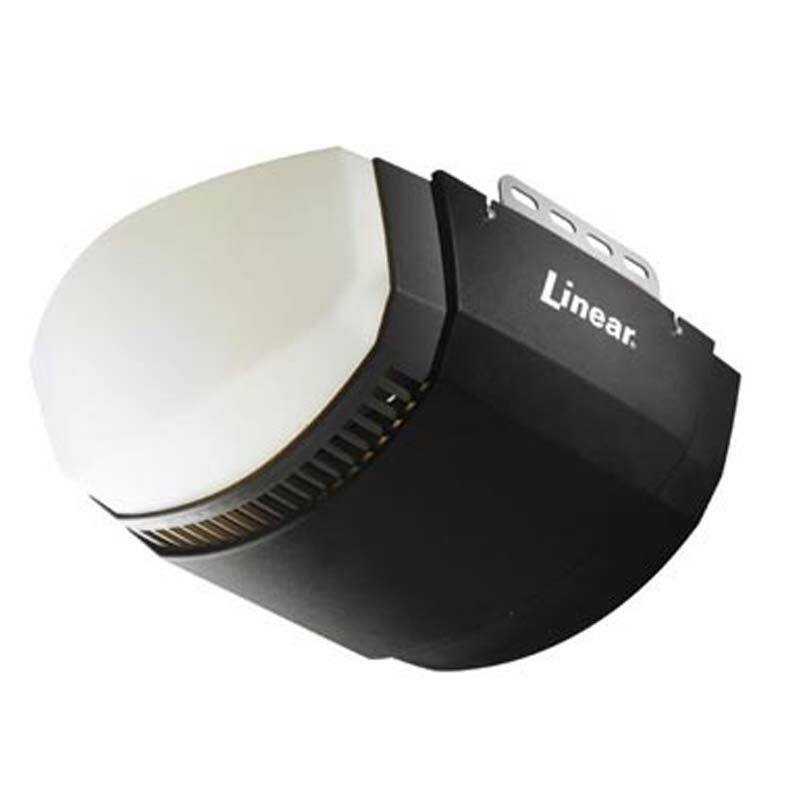 Linear garage door opener model LDC0800 is DC powered to provide extra-silent, efficient and high quality performance. 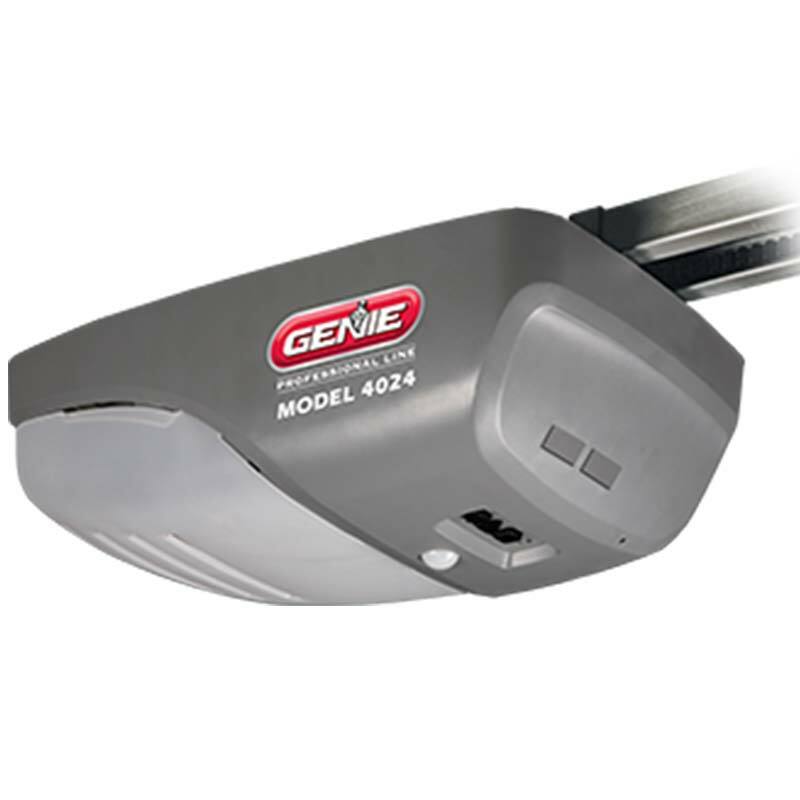 This modern model garage door opener provides supper silent, smooth and reliable operations. It’s designed using modern technology for efficiency. 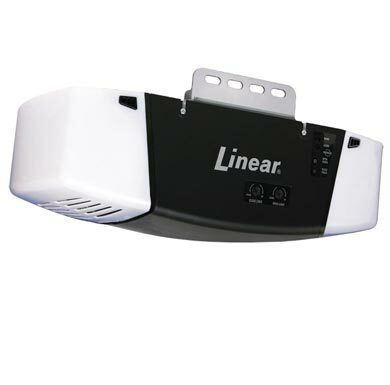 Linear model LD0852 garage door opener provides extra-quiet, smooth and reliable operations. It’s easy to connect with home network for efficiency. 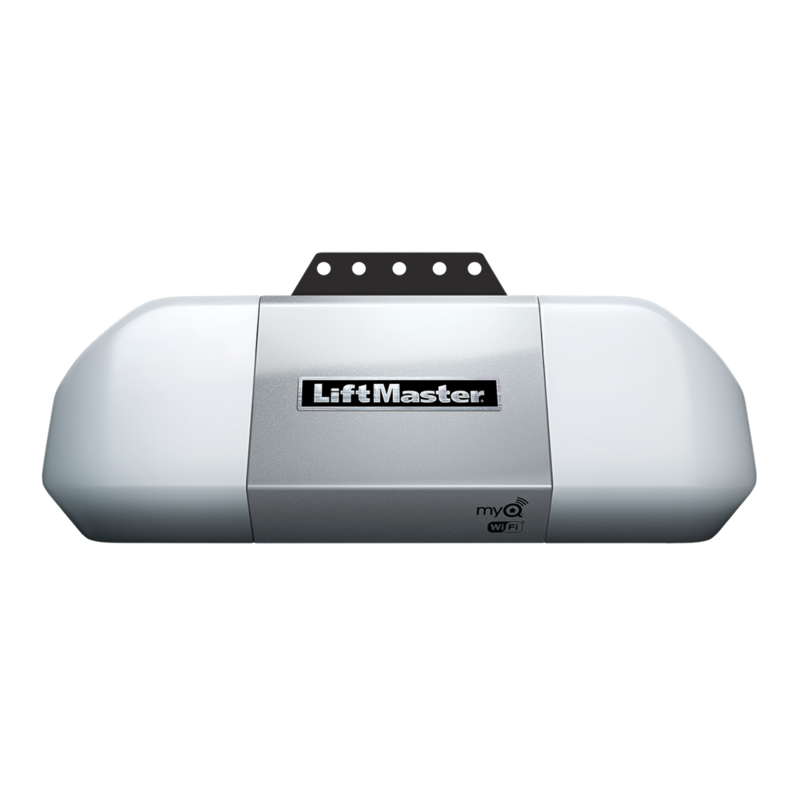 Wall Mount garage door opener series 8500W is a space saving design ideal to lift heavy doors. It provides super silent operations hence ideal for residential doors. This opener is run by a durable belt drive mechanism. The rubber belt is connected to the motor that gives it the power to lift the garage door once activated. Belt drive opener is noise free as it provides soft starts and stops during the closing and opening process hence ideal for residential garage doors. It has many movable parts that require a lot of maintenance. It is also rather expensive. The chain driven opener has a worm screw that is fixed to the rails with grooved carriage running under it. In order to lift the door, the screw turns, moving the grooved carriage that raises the door. This opener is affordable and requires minimal maintenance as it has fewer movable parts. However, it is slightly noisy though not as much as the chain driven opener. This type of opener is operated by a chain drive mechanism. It is an automatic opener with a chain connected to the power head that moves the carriage installed on the door. This opener is affordable as it costs less compared to other types. However, a chain drive opener requires frequent maintenance due to many movable parts that are prone to wear and tear. Also, during the opening and closing process, the chain hits against the rails producing a lot of noise.